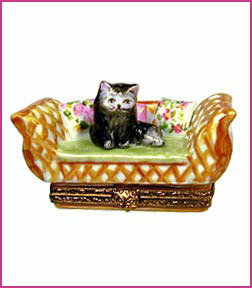 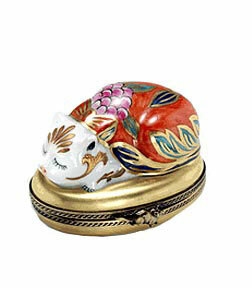 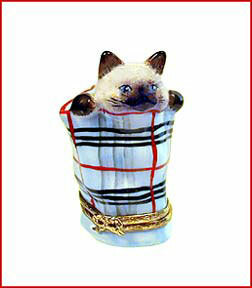 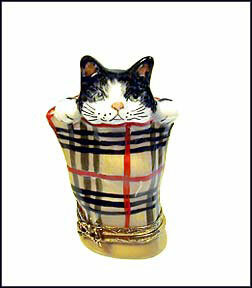 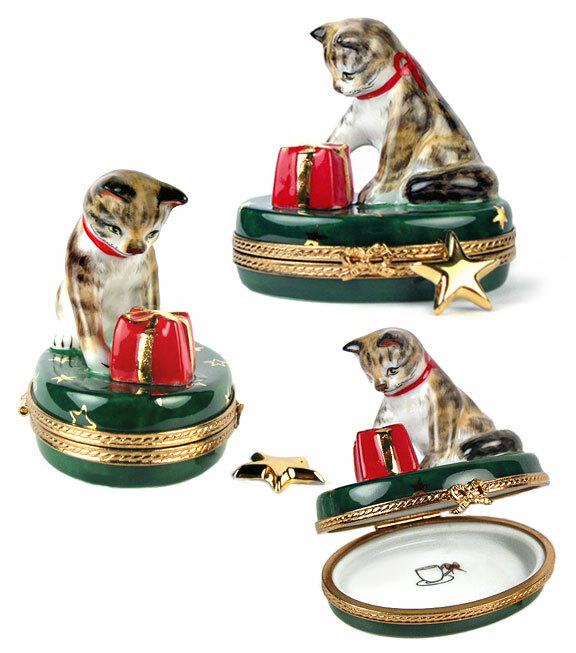 See Our Newest Limoges Boxes! 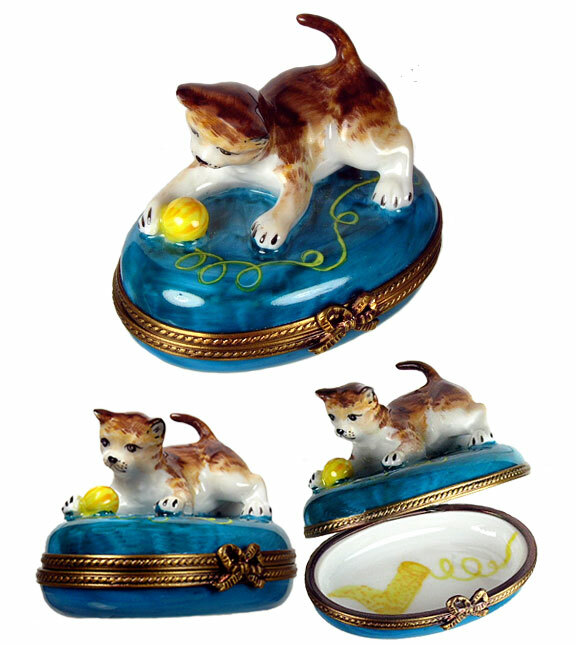 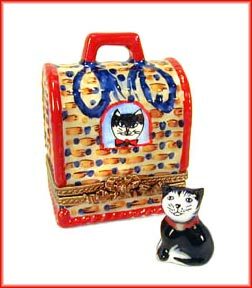 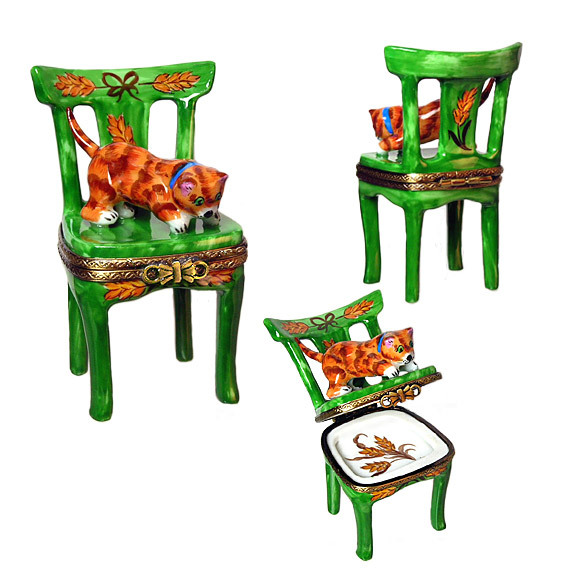 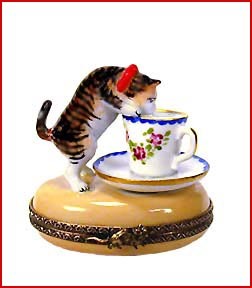 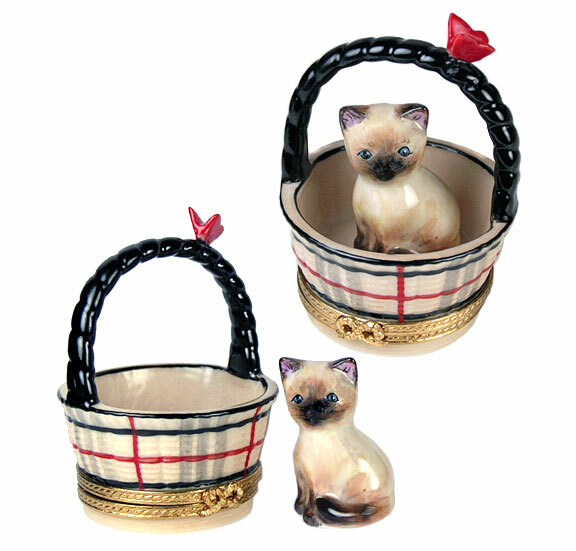 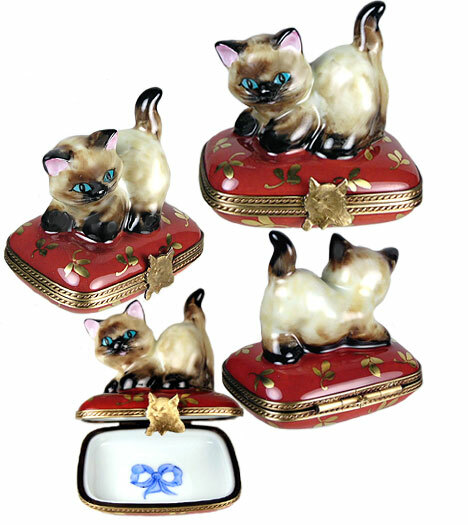 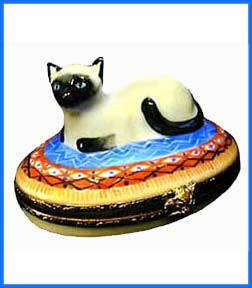 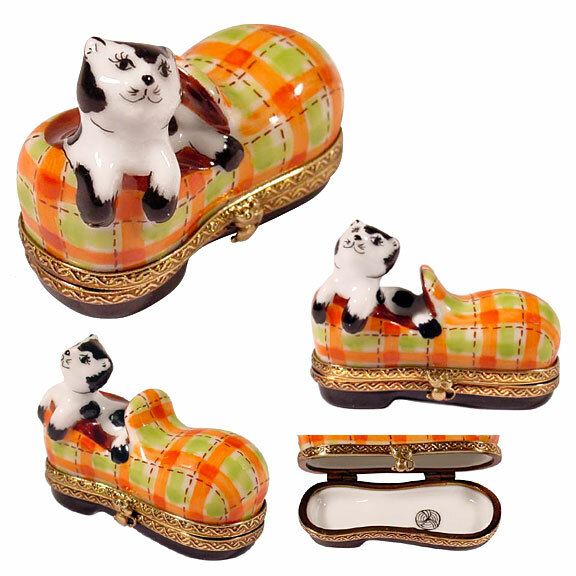 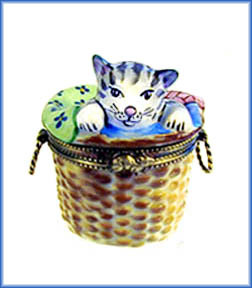 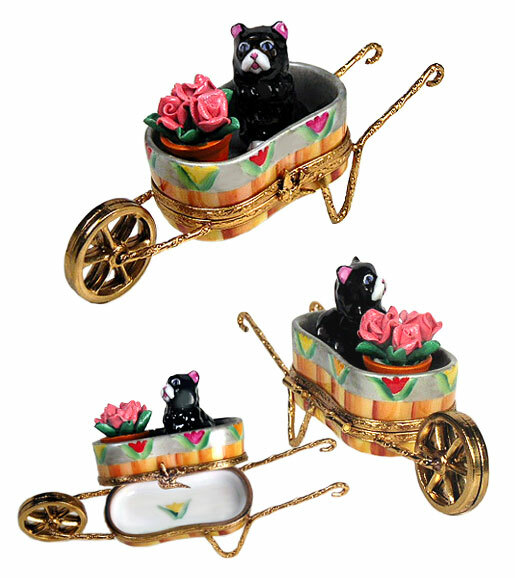 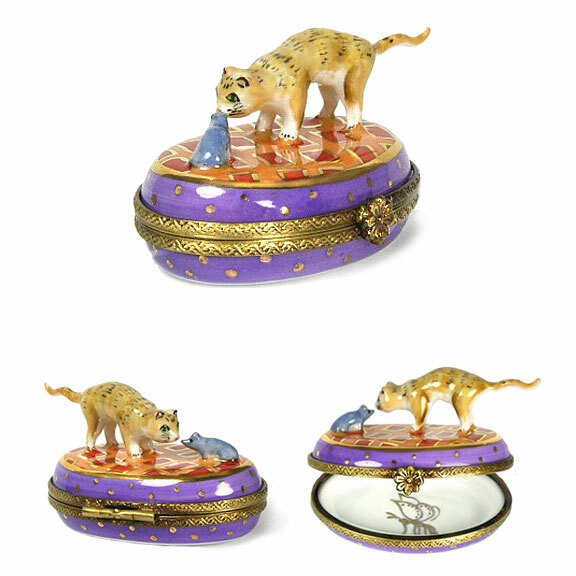 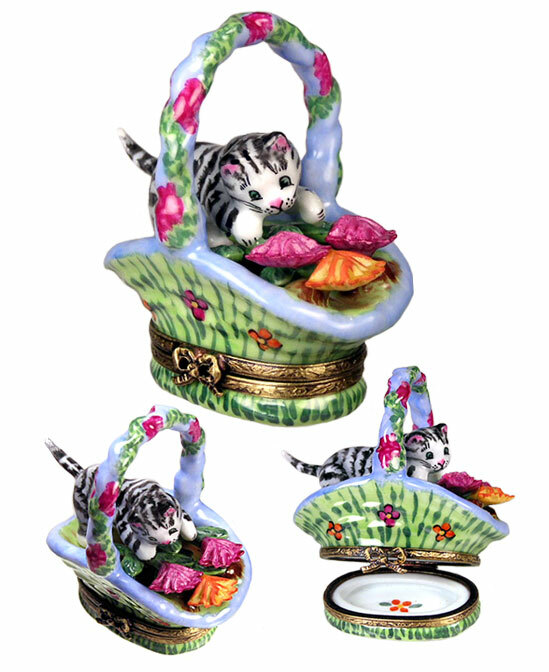 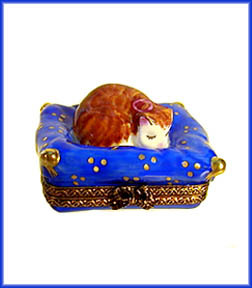 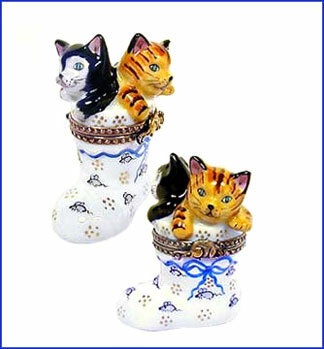 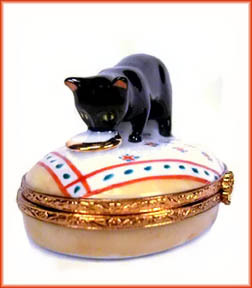 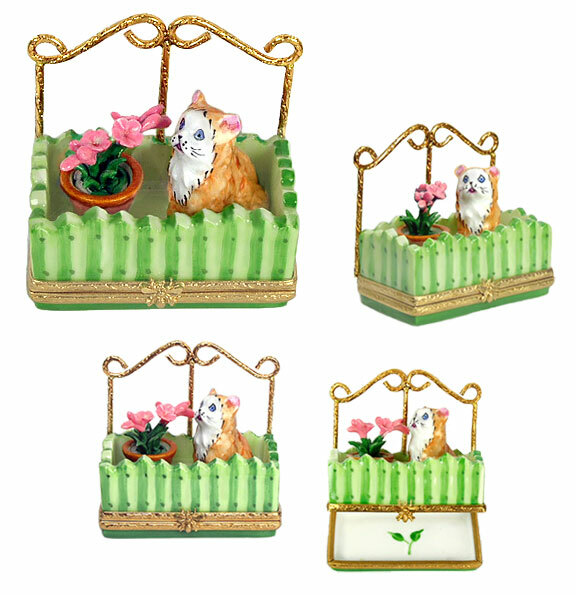 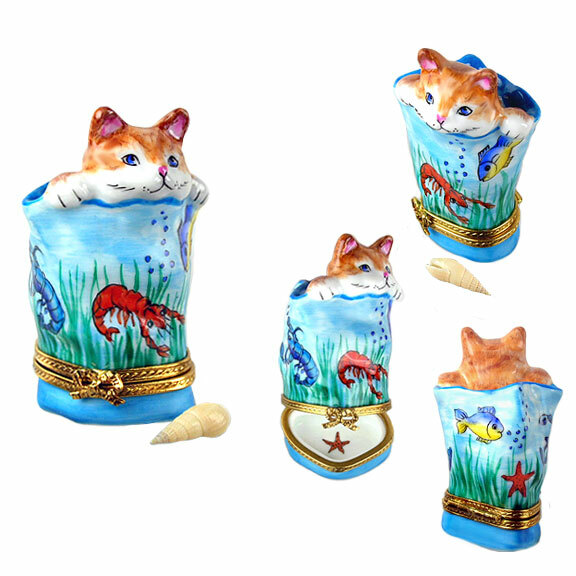 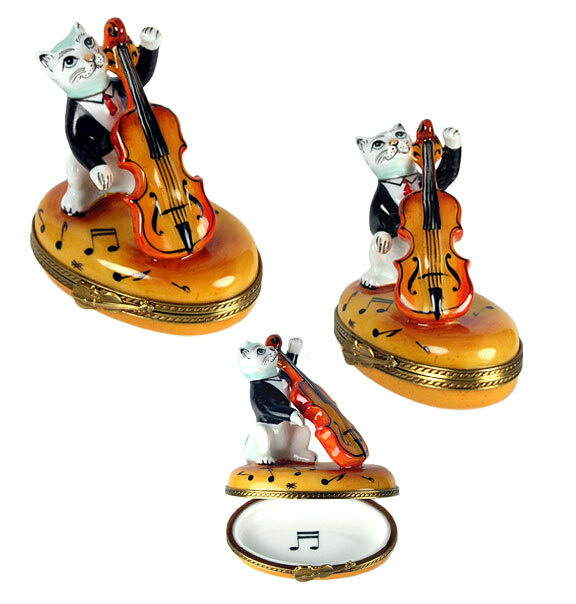 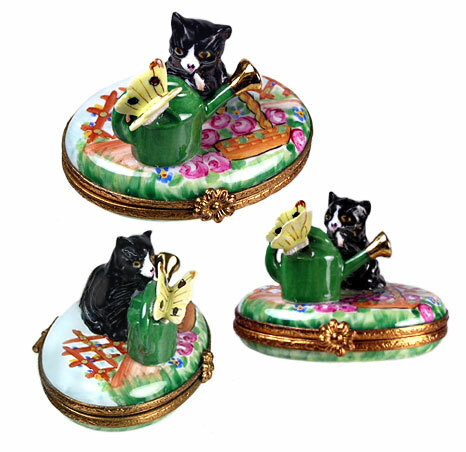 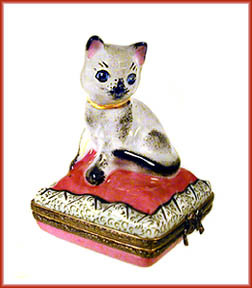 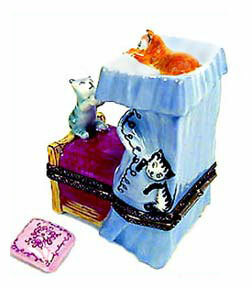 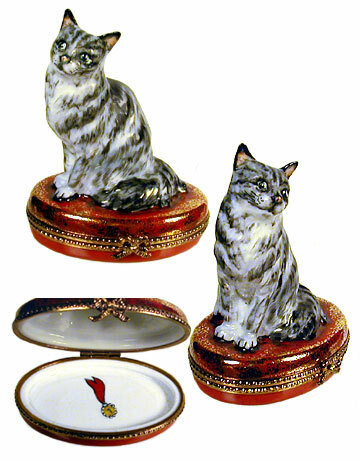 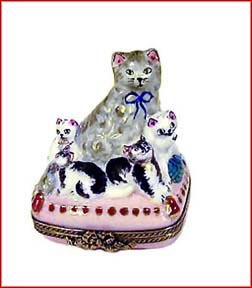 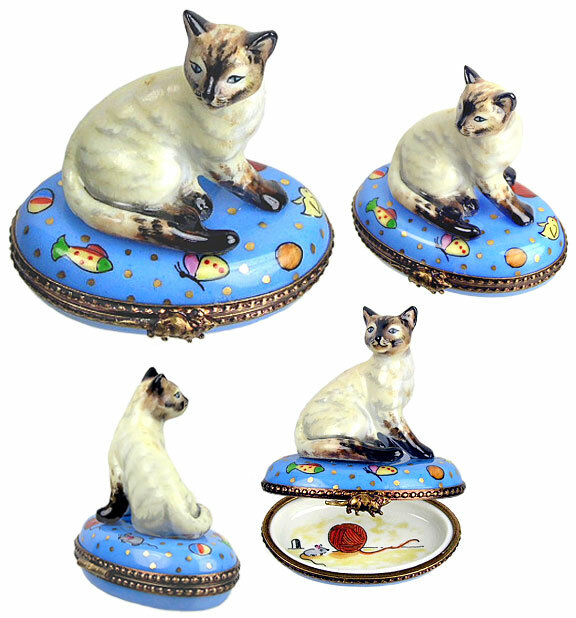 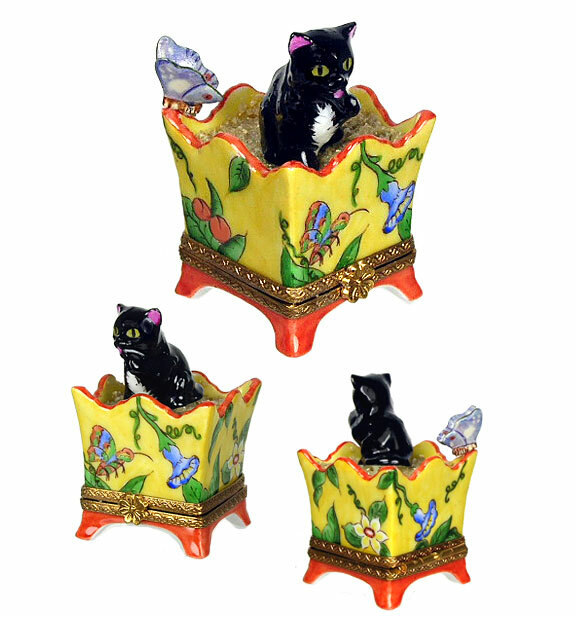 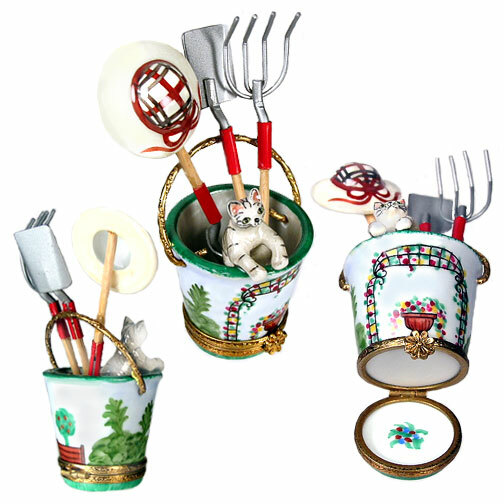 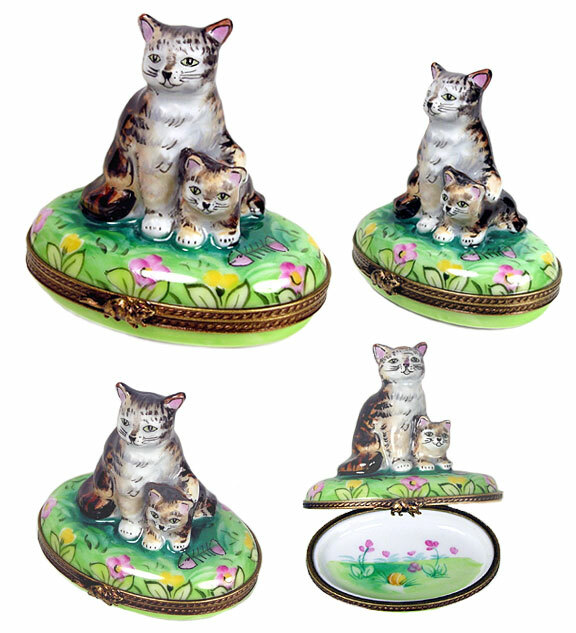 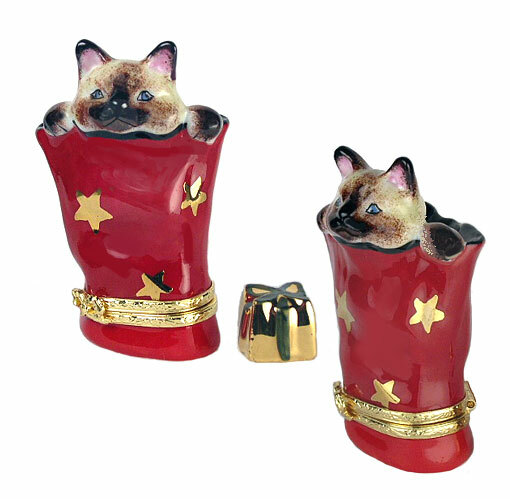 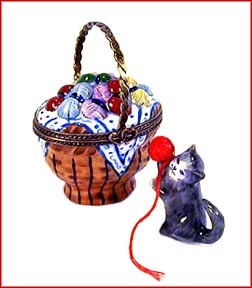 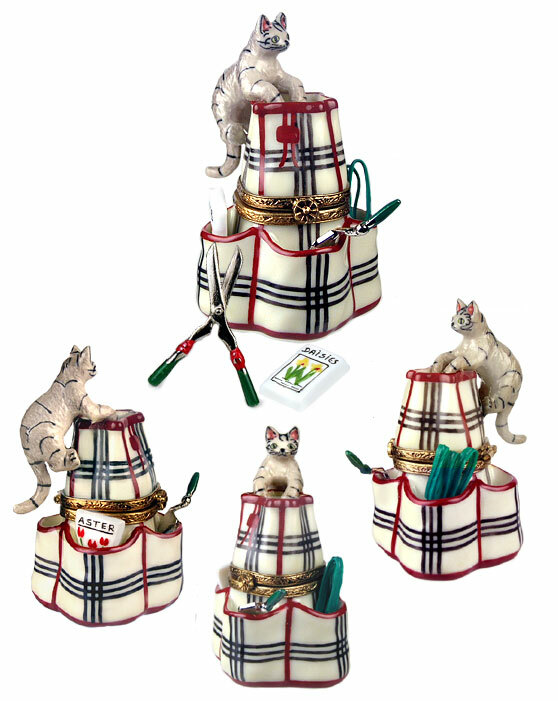 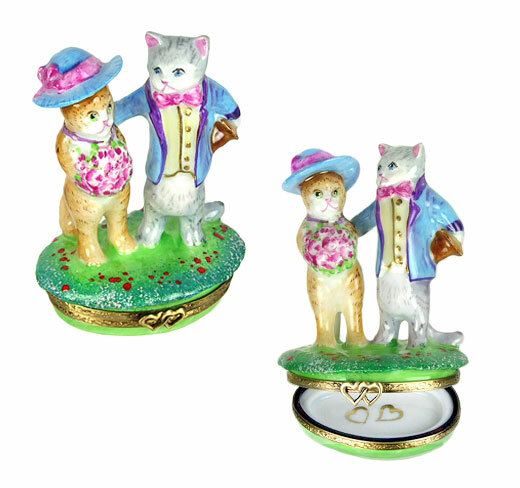 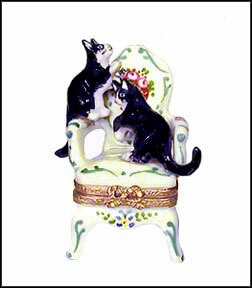 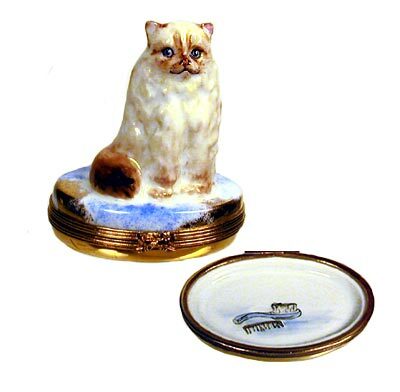 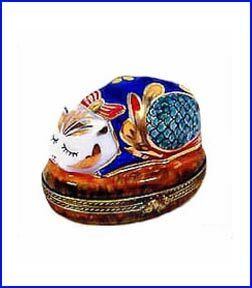 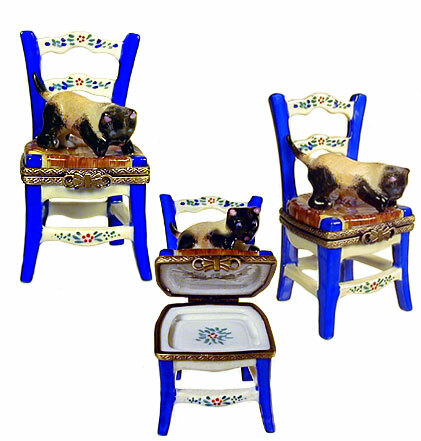 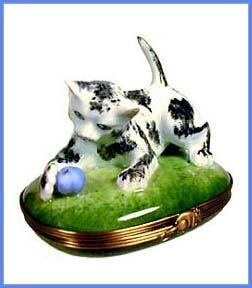 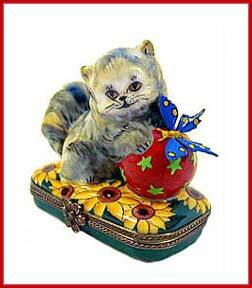 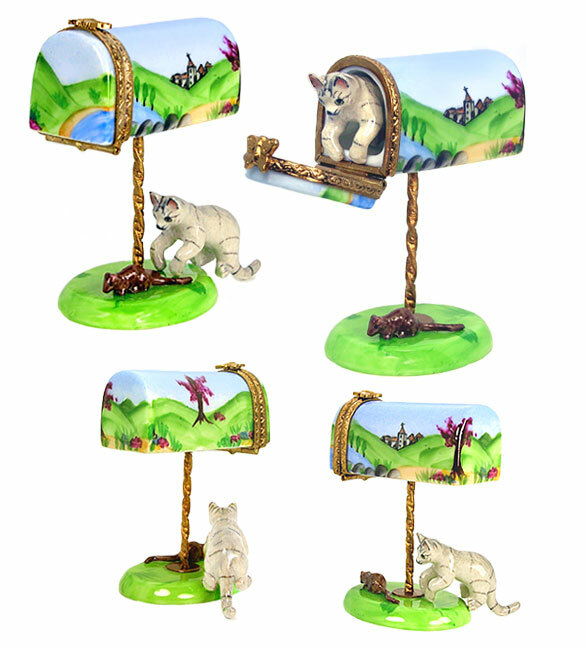 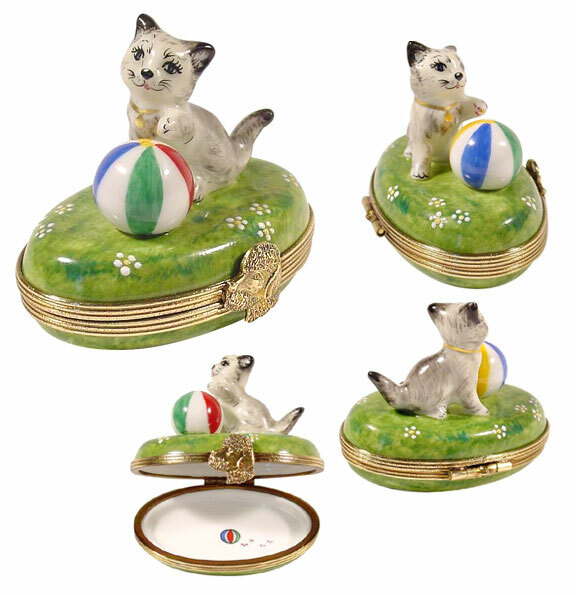 Purring or playing, frisky or napping, angelic, curious, or full of mischief, our authentic Limoges box cats and kittens all have one thing in common - they are Purr-fectly adorable, and beautifully hand painted on finest Limoges porcelain. 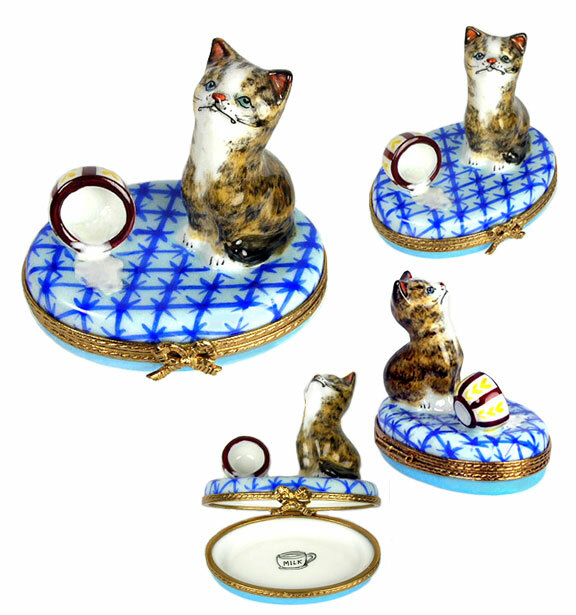 Our collection has expanded to a second page so be sure to take a look at Cats 2 for more of our precious kitties! 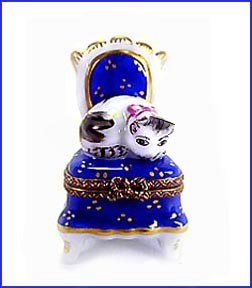 Click on an image to see an enlarged picture. 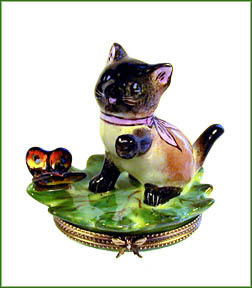 Mighty hunter or scairdy- cat? 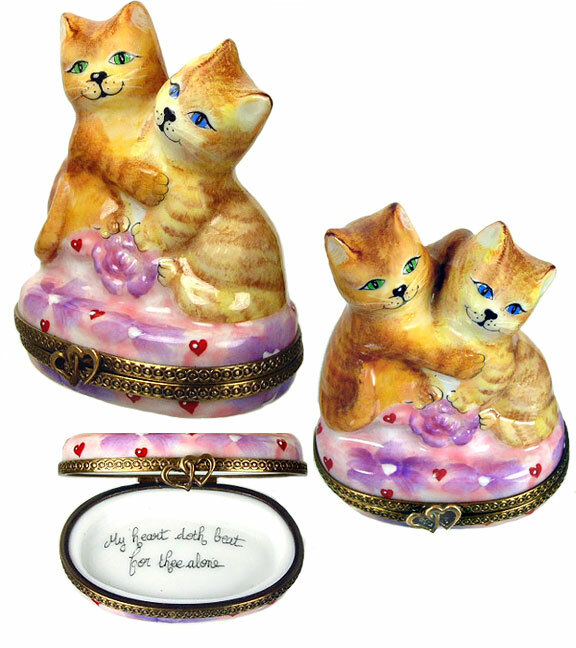 Poetic Valentine Cats Inside: "My Heart Doth Beat for Thee alone"
All pages and images Copyright © 2000 - 2019 by Bonnie's Limoges.